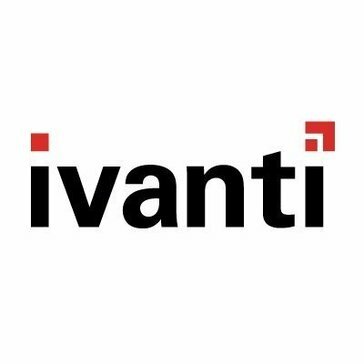 Work for Ivanti IT Asset Management Suite? Learning about Ivanti IT Asset Management Suite? "Asset Management in the cloud almost perfect"
Having the option of letting Ivanti run the backend servers is a real plus, all updates and features are delivered direct with no technical team needing to worry about updates, patches and secuirty. Having Asset manager in the cloud works with my other tool sets as well like ITSM. Cost is high but the feature set is large and keeps getting better. Lost assets and reordering assets due to not knowing we had a stock was costing the departments thousands a month. Once the assets are scanned, it take some tweaking and grouping to get the information needed. Fairly robust, takes a bit of tweaking to get what you want. The purpose of switching to this tool was being able to group our environment by application and business owner. Coming into a company that has never had any sort of Asset Management or patch management before, it has been a huge blessing being able to actually pinpoint things. Have been able to find alot of holes and show management a way to fix it. Validate purchased assets while keeping tabs on in-place contracts. Track lease, warranty, and financial management information. Scan a variety of barcodes such as UPC and QR with your mobile device. The product is very good but technical support can be improved. Discover and inventory hardware and software connected to corporate network . Reclaim unused software licenses automatically to reduce IT spend. Struggle to reduce IT asset costs and achieve savings. * We monitor all Ivanti IT Asset Management Suite reviews to prevent fraudulent reviews and keep review quality high. We do not post reviews by company employees or direct competitors. Validated reviews require the user to submit a screenshot of the product containing their user ID, in order to verify a user is an actual user of the product. Hi there! Are you looking to implement a solution like Ivanti IT Asset Management Suite?